Conversing with University of Delaware students who met with him in Munroe Hall. ​Mr. Caleb Jarvey, an African-American Wilmington resident will talk about race relations from the tumultuous and eventful 1960s to the present as a lived experience. Spend winter 2020 in beautiful Brazil and fulfill group B and C, multicultural, Discovery Learning and Portuguese Language Certificate requirements by studying the language, history, culture, and people of Latin America's largest country. The program takes place in one of the most beautiful cities in the world, Rio de Janeiro, and it includes day and weekend excursions within the state of Rio de Janeiro. The program includes home-stay accommodations with Brazilian families. Our host in Rio, Caminhos Language School, sponsors an orphanage as well as fellowships and socially responsible projects for marginalized youth. No Portuguese language knowledge is required for this program. Freshmen students are welcome! Whose rights are protected in the context of conservation and development? This talk traces the development of an anthropological praxis as a feminist political ecologist focused on social and environmental justice. Taking a retrospective lens, the presentation explores connections between then and now – undergraduate training at Delaware to current work on multispecies conservation voluntourism. The presentation will include snapshots from two decades of research in Central America, with an emphasis on the relationship between indigeneity, territorial rights, and protected area management. Anthropology Student Awards Ceremony will follow the lecture. Melissa Melby, medical anthropologist at UD, comments on the so-called “grandmother hypothesis” suggesting women’s longevity is due to contributions to their grandkids’ survival. Melissa Melby, biological anthropologist at UD, has article published in online journal Health Care for Women International, 11 Feb 2019. Mr. Galasso is an agriculturalist responsible for U.S. Government plant health policy relating to international trade in grain, including cereals, pulses and oilseeds, since 2008. He also represents U.S. interests to the North American Plant Protection Organization and the International Plant Protection Convention (FAO). His duties focus on promoting safe trade in grains through extensive collaboration with industry, researchers, foreign government agencies, and international plant protection organizations. He previously served as the Regional Vice President, Europe and North Africa for the trade association US Wheat Associates (USW), posted in The Hague, Netherlands from 2004-08. He also served as the USW Regional Director in North Africa, based in Casablanca, Morocco from 1995-2004, and Assistant Regional Director for South America, based in Santiago, Chile from 1991-1995. Prior to USW, Mr. Galasso was an agricultural economist with the Foreign Agricultural Service, USDA in Washington, DC from 1988-1991, and worked as a Peace Corps agricultural economist in the Marketing and Credit Division of the Jamaican Ministry of Agriculture, based in Kingston from1985-87. Mr. Galasso has a B.A. degree in Anthropology and Geology from the University of Delaware and holds a Master's degree from Michigan State University in Agricultural Economics. 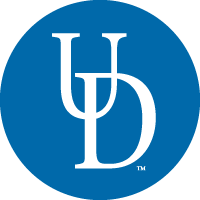 At UD he undertook research correlating LandSat digital imaging with prehistoric artifact distribution in the Murderkill, Mispillion and St. Jones watersheds of Delaware. ​Her work examines how the changing visions of militarized spaces in and around the Soviet-era Semipalatinsk Nuclear Test Site have produced particular forms of social, political, and economic exclusion in the region. Stawkowski’s ethnographic research among rural communities in and around Semipalatinsk is an account of the local understandings of health and practices about illness. Specifically, she asks what compels people to live on radiation-infected land? How individuals living in and around the nuclear test site have come to see themselves as biologically evolved to survive in this environment? Stawkowski is currently working on a book manuscript based on her fieldwork. ​Meghan C.L. Howey is an anthropological archaeologist specializing in Native North America. She received her B.A. (2000) from the University of Delaware and her M.A. (2002) and Ph.D. (2006) from the University of Michigan. She has conducted research across North America, including the Southwest, Southeast, and Great Lakes. Her major research project has been on Native American regional organization in the Upper Great Lakes in the period preceding European Contact, exploring how tribal communities constructed and used ceremonial monument centers to facilitate economic, social, and ideological interaction in this period. She has used Geographic Information Systems (GIS), ethnohistoric materials, and collaboration with local tribal communities to enhance her research. Her theoretical and methodological interests include non-hierarchical societies, ritual practices, landscape theory, and spatial analysis with Geographic Information Systems. Dr Howey has published many articles in peer-reviewed journals and published her book titled Mound Builders and Monument Makers of the Northern Great Lakes, 1200–1600 in 2012. Dr Howey is James H. Hayes and Claire Short Hayes Professor of the Humanities from fall 2016 through spring 2021. During this time she will focus on her project “A Deep Time, Multi-Archive Narrative of the Anthropocene in the Great Bay”. Sophiana Leto graduated from the University of Delaware Honors Program in 2017. She received a Bachelor of Arts with Distinction in Anthropology and had minors in Art History, Latin American & Iberian Studies, and Public Policy. Within Anthropology, Sophiana focused on social, cultural, and applied anthropology and the region of Latin America. She wrote her senior thesis "Community Engagement and Social Justice: Creative Applications for the Delaware Hispanic Commission's Visions of Dignity" under the direction of Dr. Carla Guerrón Montero and through research opportunities provided by the Plastino Scholars program. At UD, Sophiana was very involved with the student organization buildOn and worked as an Honors Program Writing Fellow and University Museums Gallery Attendant. Sophiana graduated UD hoping to pursue a career in museums and non-profits, and since November 2017 she has been working as the Development Associate, Volunteers & Major Gifts at the Montclair Art Museum in Montclair, NJ. In this position, Sophiana supports major gifts administration through donor management, prospect research, financial reporting, and database management. She also manages the Museum's ever-growing volunteer and intern program, which includes around 300 volunteers and 15 volunteers annually. Alex is the Lead Researcher for Smart Home Experiences at Intel Corporation. Her research directs innovation and strategic decisions for multiple teams across Intel working on platforms and technologies related to domestic computing, by understanding user contexts, practices, values, desires and needs. Alex defines transformational experiences in domestic spaces including homes and private passenger cars, and across Intel device categories from desktop computers to gateways to set top boxes and Internet of Things platforms and devices. She’s roadtripped in an RV for a week to understand the challenges of mobile domesticity, lugged around a shower curtain and stepstool to unpack the contents of cars from Wuhan to Sao Paulo to Frankfurt to Penang, watched people watch TV in 15 countries, and explored laundry rooms in Swedish apartment buildings and Indonesian student housing. She excels at making sense of the mundane, everyday rhythms of domestic life, and identifying areas for innovation and disruption in nascent markets. Her research spans the development of experiences from concept design through to product definition and assessment, within Intel and in collaboration with customers. Alex completed her Ph.D. in Cultural Anthropology at Brown University and her BA in Anthropology & History at the University of Delaware. Dr. Keri Brondo is the Director of the International Studies Program and an Associate Professor in the Department of Anthropology at the University of Memphis. Her research and teaching expertise are within international development, environmental anthropology, conservation voluntourism, and gender and social justice. Her work focuses on the relationships between rights to natural resources, conservation and development policy, and local livelihoods, particularly on Honduras' north coast and islands. She is a former Fulbright scholar and Title VI FLAS recipient, and is regularly called upon to provide expert testimony for amnesty cases and has served as amicus curie for the the Interamerican Commission on Human Rights on behalf of the afroindigenous Garifuna community. Keri has over a 14 years of leadership experience within her discipline's largest professional association, the American Anthropological Association (AAA). She served as Chair of the AAA Committee on the Status of Women in Anthropology (COSWA), Chair of the AAA Committee on Practicing, Applied and Public Interest Anthropology (CoPAPIA), and currently serves on its Executive Board. She is author or editor of 3 books and over 60 articles, book chapters, agency reports, reviews and commentaries. Her books include Cultural Anthropology: Contemporary, Public, and Critical Readings (Oxford University Press, 2016), Land Grab: Green Neoliberalism, Gender, and Garifuna Resistance (University of Arizona Press, 2013), and Intersections of Faith and Development in Local Global Contexts (co-edited w/ T. Hefferan, Wiley-Blackwell, 2010). Her next book project, tentatively titled, For the Love of Swamper: Multispecies Entanglements in Honduras' Affect Economy, explores the relationship between conservation voluntourism, protected area management, and local livelihoods. Keri completed her Ph.D. in Sociocultural Anthropology at Michigan State University with a Concentration in Culture, Resources, and Power (Department of Anthropology), a Graduate Certificate in Latin America and Caribbean Studies (Center for Latin America and Caribbean Studies), and a Graduate Specialization in International Development (Center for the Advanced Study of International Development). She earned her BA in Anthropology at the University of Delaware in 1997. Anthropology has been a running theme in my life -- both professionally and personally. From my experience as a news photographer in Tunisia during the "Arab Spring" to my time spent at TIME Inc. writing articles and producing videos, I have always looked to my education in Anthropology as the basis for understanding my world. I am currently the Executive Director of Travel Songs, a non-profit organization that uses funds from donors and members to produce ethnographic films about music around the world. While filming, we recognize a critical need within the local community as it pertains to music or art -- and then build a charitable initiative designed to advocate for the retention of indigenous art forms in that community. To me it is plain to see that, being human, Anthropology is all around us. And whether you are a banker that travels abroad for business or a young student entering a new school -- a strong understanding of the culture and people around you will typically yield positive results. Ms. Shaffer is the field coordinator for Texas-based non-profit Weavers of Hope. As coordinator Shaffer co-manages an income-based educational grant program that operates in the village of Villa Garcia, Zacatecas, Mexico. Her efforts are focused on the building of community and solidarity within the grant program via monthly meetings and trainings with beneficiaries. She is also responsible for the facilitation of communication between Spanish speaking beneficiaries and their English speaking US sponsors. Shaffer celebrates nearly a decade working in the community. Shaffer also serves as an adjunct professor in one of the largest private universities/prep schools in Latin America, El Tec. de Monterrey in Mexico. Ms. Shaffer works at the Aguascalientes campus where she teaches an array of courses related to social sciences and civic responsibility. Most notably Shaffer is a history professor in the prep school’s multicultural program where students are offered a rigorous study plan (plan de estudios) which includes the acquisition of two foreign languages (Mandarin Chinese and German or French) , mandatory study abroad in China and Germany and history courses focused on global issues. The majority of Shaffer’s students work in conjunction with various local NGOs in a range of service learning projects which serve to enrich their academic learning with field experience and meaningful community service. After graduating from the University of Delaware with a B.A. in Anthropology Shaffer completed her M.A. in Sustainable Community Development at the School for International Training in Brattleboro, Vermont. Shaffer is happily married and is the mother of one. My two passions have always been volunteer work and learning about different cultures around the world. With a degree in anthropology, I applied to serve in the Peace Corps after graduating from UD. To me, the Peace Corps is a perfect blend of humanitarianism and cultural stewardship. Serving in Peace Corps Panama as an anthropologist has given me a unique perspective in my Environmental Health work. While assimilating into an indigenous Ngäbe community, an anthropological background has aided in grounding my cultural relativism. My awareness of cultural norms, faux pas and stereotypes are heightened, allowing me to 'unpack' them more easily. This in turn positively effects the work I do as a Peace Corps Volunteer. Anthropology will forever weave itself into the endeavours I pursue. It is more than a degree; it is a lifelong consciousness. Dan is a 2012 graduate of the Department of Anthropology, where he first discovered a passion for the study and development of sustainable food and farming systems. After graduating, Dan worked with the Food Bank of Delaware to develop fresh produce access programming for low-income Delawareans, and to advocate for state and federal policies to combat poverty and hunger. He has also worked on organic farms in five different states, and has studied the agricultural methods of subsistence farmers in Central America. Currently, Dan is a National Science Foundation Graduate Research Fellow, pursuing a degree in city and regional planning at the University of Pennsylvania. His research focuses on community-based land ownership and management strategies as a means of improve access to farmland for small-scale agriculturalists, incentivizing ecological land stewardship, and promoting racial and economic justice. Anthropology continues to be a part of the intellectual and practical foundation for Dan's work. Understanding how geography, ecology, and economics shape and are shaped by human culture is essential to understanding the complexities of our global food system. The department also instilled in him a firm commitment to social justice and solidarity with oppressed peoples.